Our Port Macquarie campus gives students from the northern regions of NSW the chance to gain first-rate qualifications in important fields without having to travel too far from home and without the pressures of living in a bigger city. 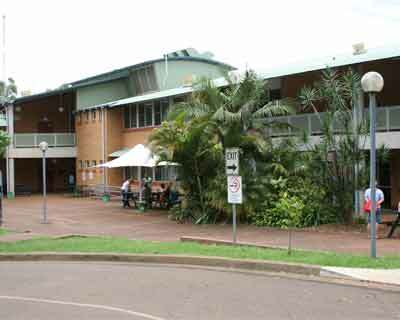 The University of Newcastle and TAFE NSW - North Coast Institute share the Port Macquarie campus. This multi-sectoral campus offers both University and TAFE programs to approximately 4,000 students and a number of joint services and facilities. The University of Newcastle offers selected part-time and full-time degree programs in Por t Macquarie. TAFE also offers a range of Advanced Diplomas, Diplomas and Certificates that provide pathways to tertiary study. Port Macquarie is positioned on the New South Wales North Coast, just off the Pacific Highway a few hours away from Sydney, Newcastle and Brisbane. Nestled between the lush Hastings River and the gorgeous beaches of Northern NSW, Port Macquarie offers all the pleasures of any urban environment with the beauty of a heritage town on the doorstep of spectacular national parks.